There are situations, we cannot have the source of the video and audio signal (a computer, gaming console, etc...) close to the monitor, TV or projector. Of course, we can use longer HDMI cable but there are limitations in length which is around 50 feet (15 meters) for the 1080p signal, 4K even less. Often the distance between computer and TV is much larger and here comes the HDMI extender into play. Let's try to find out which is the best HDMI extender on the market. 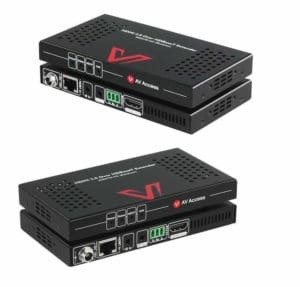 There are lots of different products of course, but I will focus on those who don't compress the video signal (HDBaseT) and can support up to 4K resolution. It means there is no loss of picture quality. These types of extenders are usually a bit pricier, but in my opinion, it is not worth sacrificing the video quality over a coin. So which is the best HDMI extender for 4K uncompressed video? For the true uncompressed 4K resolution the extenders must be capable of transmitting the signal with a throughput of 18 Gbit/s. This is the most important spec, so let's see what can we find on the market. This HDMI extender comes in a robust aluminum casing. 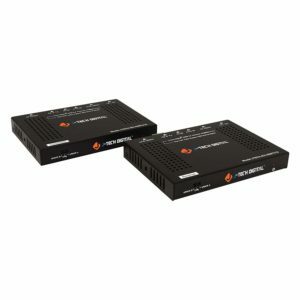 For the audio and video transmission, it uses HDBaseT technology. This means the audio/video signal is totally uncompressed therefore there is no quality loss. It supports 4K at 60Hz, fully compatible with 3D and HDR content. It also has a Bi-directional Infra Red (IR) and pass-through so you can use the remote control from a great distance pointing directly towards a transmitter unit. Another useful feature is that it supports PoE (Power over Ethernet). It means you need to plug the power supply adapter only to one unit. The other unit gets the required power via ethernet cable. Well, to be honest, the specifications are quite the same as with the previous AV ACCESS extender. With a throughput of 18 Gbit/s, it supports HDR and 3D content. It also has the support of a bi-directional IR signal for remote control. The transport range is around the same. This unit is also powered via PoE (one unit is connected to the adapter, the other one gets power via ethernet cable). This extender is truly a beast. If you are on a budget and you need a longer transmission range, this unit would do the job. It has all the specs as previous two, but with a range up to 330 feet (100 meters). All 3 top models on the market do pretty much the same job. They all use the same HDBaseT technology and have a max bandwidth of 18 Gbits/s. So the features and the picture quality are just the same. The only difference is the transmission length. If you recommend any other 4K HDMI extender, feel free to drop a comment below. I would be glad to review it and add it to the list.